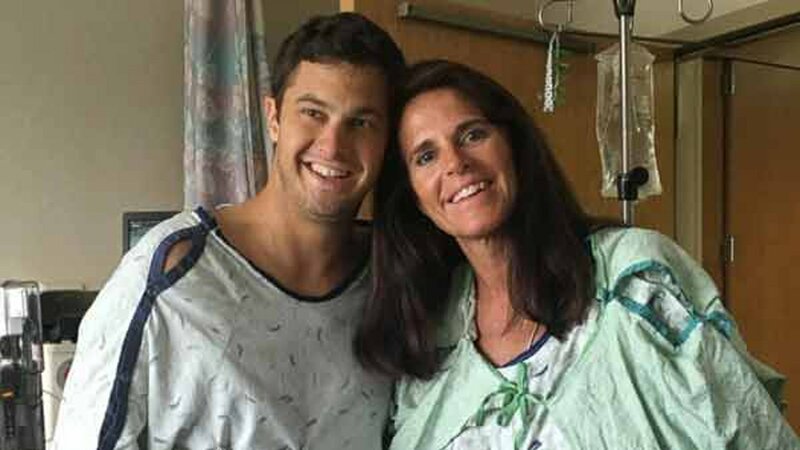 STEAMBOAT, Colo. -- A Colorado teacher gave a former student the ultimate gift after discovering she was his match for a life-saving donation. ABC News reports Henry Howard, 29, met Tracy Bye, 53, while he was a 5th grade student at Soda Creek Elementary School in Steamboat Springs. While Bye wasn't his teacher, they got to know each other when Howard was treasurer for the Student Council. "I just remembered his energy," Bye told ABC News. "He was always smiling and always ready for the next thing. He had a lot of friends and he was one of those students that every teacher knew." Over the years, Bye got to know Howard's family and even worked with his mother and sister, who later taught with Bye at Steamboat Middle School. It was there that the principal distributed a letter from Howard's mom, asking for the community to be tested for a match as her son's kidney donor. Howard had been diagnosed with chronic kidney disease three years before, and his family members had already been ruled out as matches. That's when Bye decided to get tested. "He just had a little boy named Elijah that's only 15 months old," Bye said. I thought, 'If I could do this, and it might be able to help him be a dad and help him live, I will.'" Bye and Howard underwent a successful kidney transplant on Sept. 1. Both are recovering well. "I feel surprisingly great," Howard said. "I think the relationship that we were able to form through this experience was a gift within itself. There's really no words to express our gratitude in what she's given to us."